A quarter of Japan’s tsunami relief fund has been spent on unrelated projects, including renovating a government office and subsiding whaling. 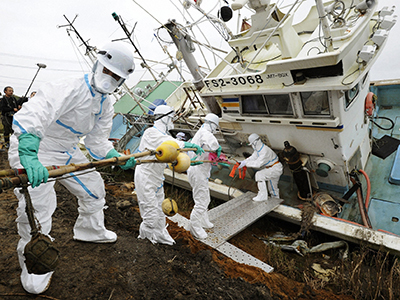 The revelations have ignited outcry as more than 320,000 tsunami victims remain displaced. The expenditure was identified after the publication of an independent government-backed audit into the allocation of the $150 billion relief fund, created after the earthquake and tsunami of March last year. 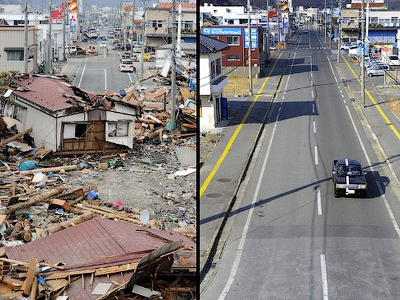 The fund intended not only to restore damaged cities, but to “reinvigorate Japan”, stimulating local economies into recover. Nevertheless, the relevance of some of the funded projects have been raising eyebrows. Among the expenses listed are $30 million dollars to protect Japan’s yearly whale hunt from environmental activists, $380,000 to promote Tokyo Sky Tree, the world’s tallest free-standing broadcast tower, free training for fighter pilots and a subsidy for a contact-lens factory located nowhere near the site of the disaster-hit coast. "Taxpayers accepted tax hikes because they thought the money would go to disaster victims and the disaster victims were grateful," said Kuniko Tanioka, who is a member of a group that studied the expenses in the Upper House of the Diet, Japan’s parliament. 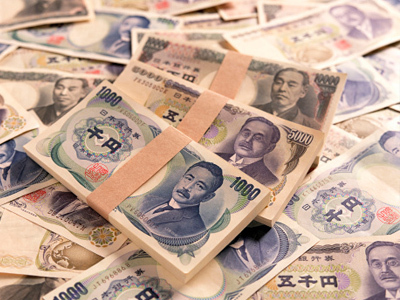 At first the report was largely ignored by the Japanese media, as clientelism – the allocation of budget money to those with close ties, often in exchange for political support, is not unusual in the country’s politics. But anger rose, sparked by those most in need of help who feel like they’ve been ignored. “Exploiting the construction effort is treacherous to the first degree,” proclaimed a Tokyo Shimbun editorial. Cities on the coastline remain disaster sites, with administrators and former inhabitants unsure they will ever be rebuilt. More than 200,000 are still living in temporary housing. Victims were allocated around $40,000 per household to rebuild their homes. The money is not nearly sufficient to rebuild the houses, particularly as many victims also lost their jobs. 240 ports – often economic hubs for smaller Japanese towns – remain closed. Across the disaster zone itself 60 percent of applications from businesses seeking help to re-open have been rejected by authorities due to insufficient funds and red tape. Businesses have to re-open first before they are given financial aid, and have to be judged as “essential” by a local administrative panel. Stunningly, not only has the money been misallocated, but half of the relief fund has not been given to anyone at all, due to a nominal lack of suitable applicants and procedural delays. On the one hand, the recovery is being blighted by the slowness of Tokyo’s bureaucrats to make centralized decisions to relieve troubled regions. On the other, local authorities have little experience in managing such large-scale construction projects. Prime Minister Yoshihiko Noda, whose DPJ party came to power in 2009 on promises of confronting long-standing corruption, was forced to defend the government in the Diet. "We must listen sincerely to the voices calling for the utmost priority to be accorded to disaster area reconstruction,” said Noda, who was finance minister at the time of the disaster. He also promised to “narrow down” apparent unrelated spending, though he did not specify to what extent or on what criteria. “The government has lost all public trust,” said Masako Mori, from the opposition Liberal Party. "That's a fundamental characteristic of bureaucrats. It is the Diet that should check how money is used, but the Diet hasn't put any effort into it," Takayoshi Igarashi, a professor at Hosei University, told Japan Times. 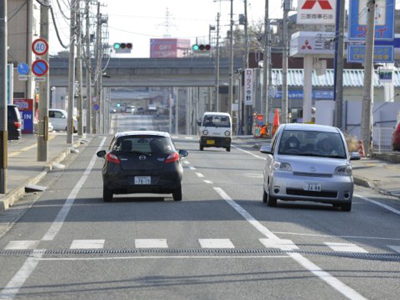 Yoshimitsu Shiozaki, an academic specializing in urban planning at Kobe University, who has conducted his own survey of the spending, believes that little will be done to reverse the spending priorities. "Legally speaking, there are no problems with these projects," Shiozaki told the Japan Times, noting that before signing off on huge subsidies, bureaucrats only had to prove that a company was in some way connected to the disaster area, even if it is through a single supplier. He also pointed out that previous relief efforts in the country, such as the Kobe earthquake recovery in 1995, have also been marred by similar scandals. "But this time the funds are being used in a more deceptive way," said Shiozaki. 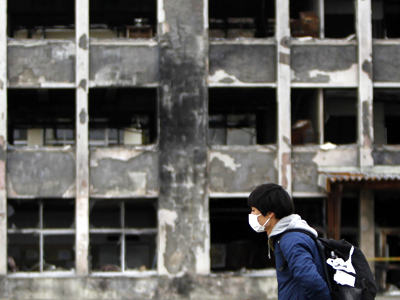 In total Japan plans to spend $295 billion on disaster recovery over the next decade.